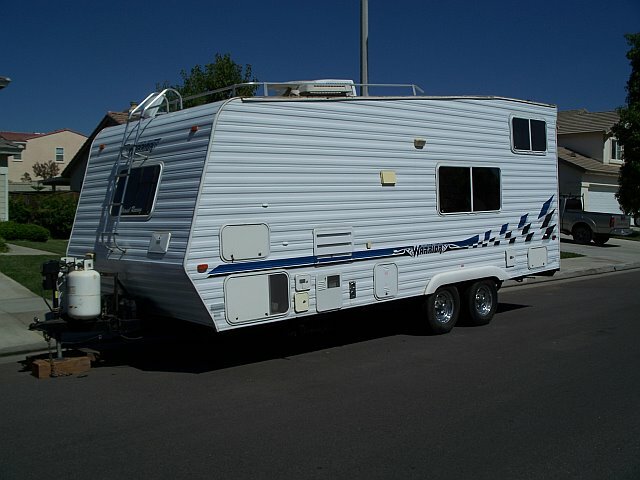 Toy Haulers offer something very unique to the RV renter, not only do they provide the feature of living quarters, but also a garage area in which to keep items such as motorcycles or ATVS. 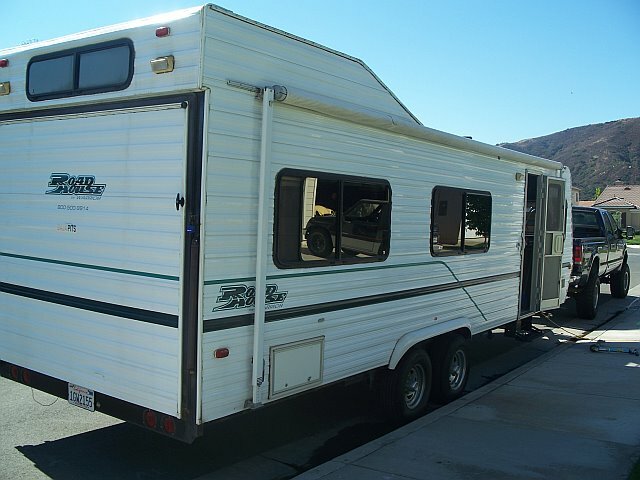 We have serveral different toy haulers for rent, from our 22ft Weekend Warrior to our 26ft Roadhouse we got what your looking for in a rental. Toyhaulers have kitchens, bathrooms with showers, storage areas, A/C and Heaters, Larger water tanks and many other amenites. Many mothers perfer toyhaulers since they can fit cribs and kids play areas into the toyhaulers. We can even arrange delivery of your rental to your favorite desert spot, including Ocotillo Wells, Plaster City, Glamis or even try beach camping with the back door down. Our packages to these areas include delivery, set-up, final dumping and prepaid cleaning. Call us at 858-598-5829 to make your reservation.